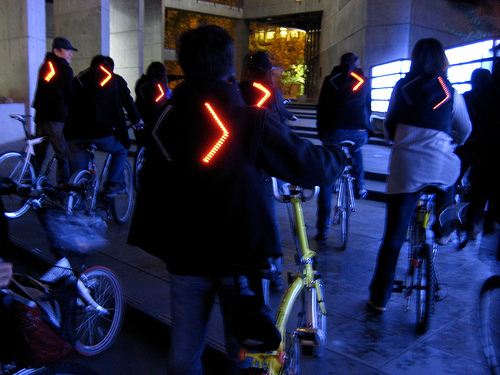 Check this out: on a tip from Zannestar, Turn Signal Jackets. With a full tutorial on Flickr. 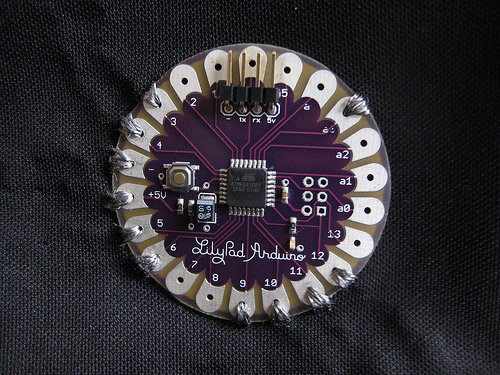 The jackets are made by Shih Chien University fashion students with the direction of Leah Buechley and use the LilyPad, a sewable set of electronic components. Hooray for interactive, innovative fashion. Just think about what you could do with this tech. Sewn into panniers, for example.